Residents may also drop off large quantities of paper for free recycling at the Eastern Regional Landfill. Shredded paper can slip through the paper separator if it is recycled, so pack it into a paper bag and staple shut. Shredded paper is compostable as long as it’s not colored or glossy. Mix two-parts paper with one-part grass in your home compost pile. It’s not always necessary to shred a document entirely. You really only need to shred the parts that contain private information. If protected info is removed and shredded, the rest of the document can be recycled. 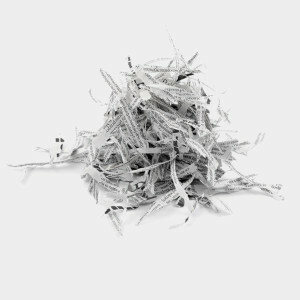 Shredding a piece of paper shortens its fibers, which reduces its value. Shredded paper is almost too small to be useful to recyclers. It’s possible for shredded paper to contaminate the recycling process by slipping past the paper-making screens.